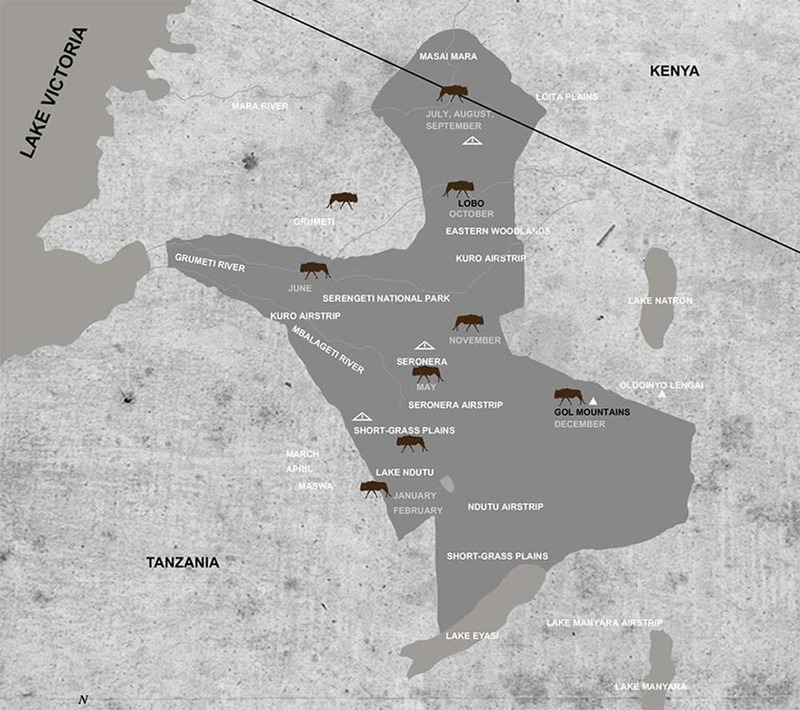 Discover where the wildebeest migration is each month. 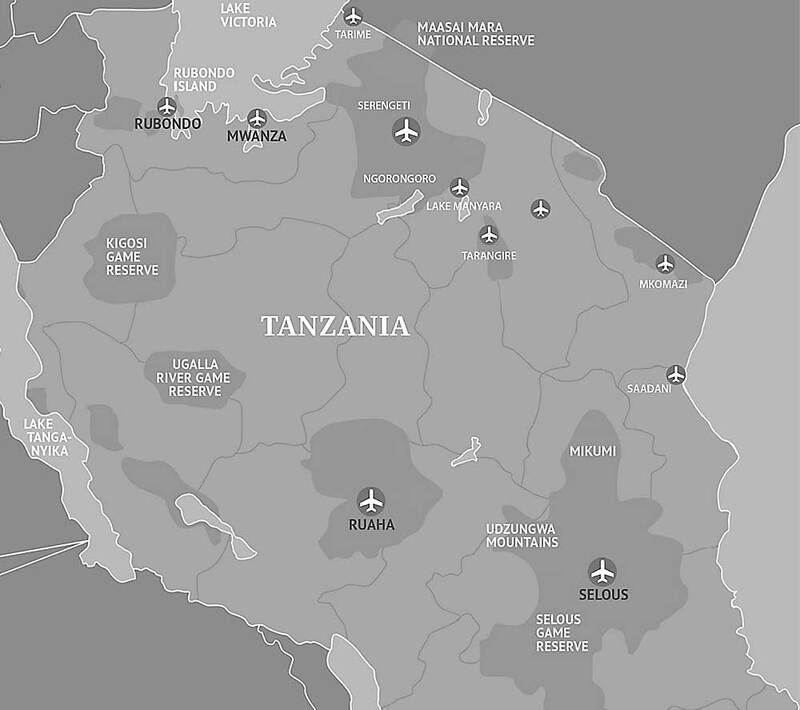 Discover all the places we can fly you to. 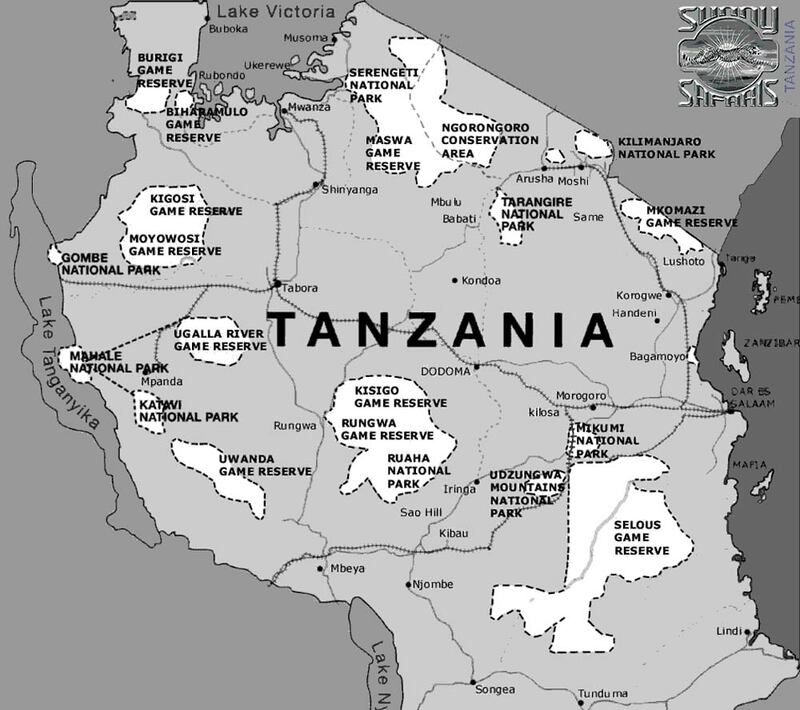 Explore the various game parks and national parks of Tanzania. 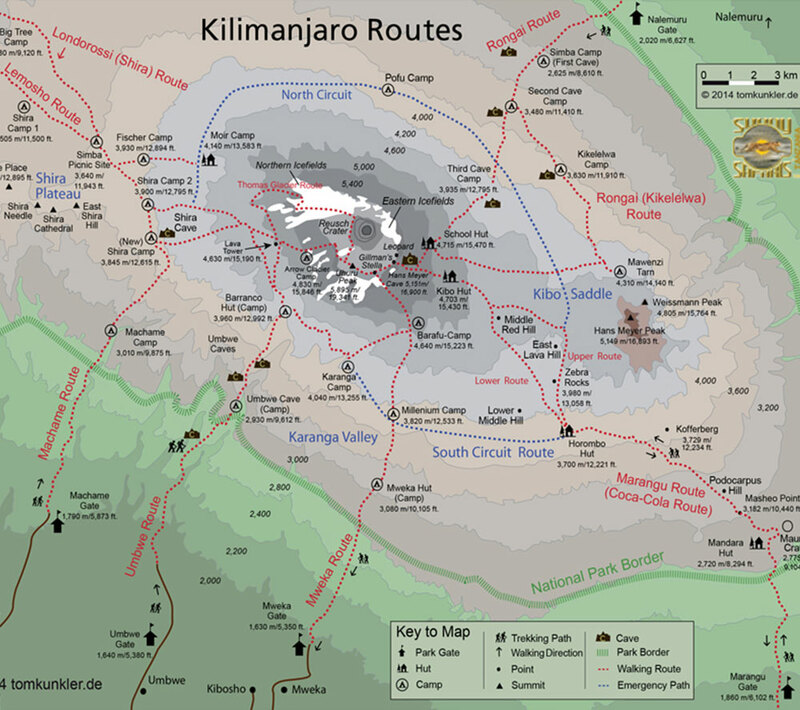 Explore all the climbing routes on Mount Kilimanjaro.